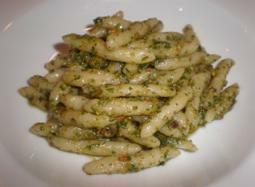 and then dressed with a pesto sauce, similar to another Ligurian favorite, Trenette al Pesto. 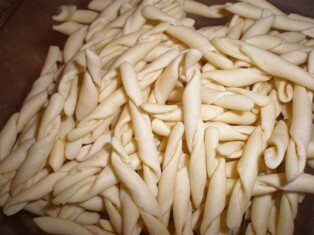 outside of Liguria, you will be making a truly unique pasta shape. Place the flour in a mound on a large floured surface. Make a well in the center. Add the water and salt. Using a fork, gently start to work the flour into the liquid. 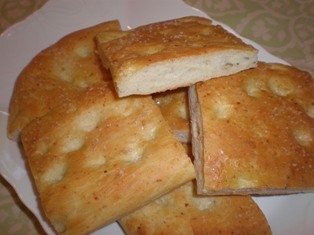 Continue until the dough becomes sticky and difficult to work with the fork. Knead the dough until it is smooth and elastic, about 10 minutes. Divide the dough into 8 balls, cover, and let rest for 10-15 minutes. You can also make this dough in a food processor. Add all the ingredients to the bowl and pulse until a dough forms. Knead the dough with your hands to form a smooth dough. dough at the top of the palm of your hand. Place the tips of your fingers of the other hand on top of the piece of dough. or you will unroll the spiral. Place the completed trofie on a lightly floured surface and allow to dry for 1-2 hours before cooking. Since trofie is a fresh pasta, the cooking time will only be 3-4 minutes. 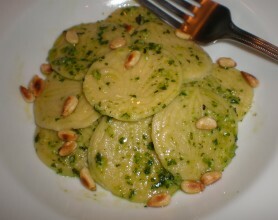 Drain and serve with pesto sauce. In Liguria, players take the role of merchants who sail the Ligurian Sea to discover exotic colors. By trading, conquering and engaging in diplomatic relationships, they can earn valuable prestige points.